The Sunshine Coast offers a warm, subtropical climate that is best enjoyed outside and what better way to enjoy it, than with a great outdoor furniture setting. Unfortunately, finding the perfect outdoor furniture solution is not always as easy at is should be; cheap imports with poor quality construction and substandard design seem to dominate the market. These products simply do not offer the durability and visual appeal that many Sunshine Coast homeowners are looking for and will often fail to endure the outdoor climate of the region. This is why it is important to choose your outdoor furniture carefully and one of the best solutions available is wrought iron outdoor furniture. 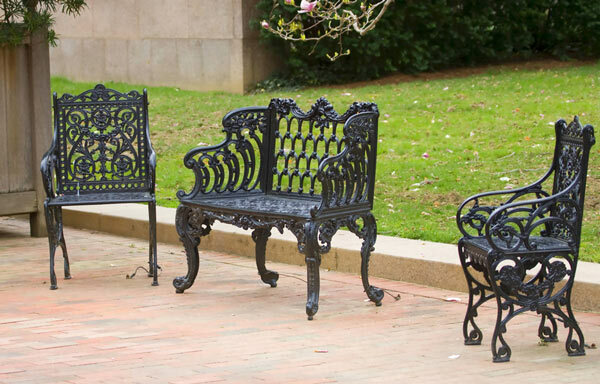 Wrought iron is perfect for outdoor applications as it offers durability and strength. Wrought iron will not rust or corrode and when it is finished properly, it can last for decades whilst maintaining its immaculate finish. Its strength means that it can remain stable and support a great deal of weight, whether it is a heavy stone tabletop or a fragile glass tabletop. At Dean Wilson Iron, we are familiar with the many benefits offered by wrought iron and we combine the benefits of its strength and durability, with the advantages of its unrivalled malleability, to create the most stunning and intricate designs in the Sunshine Coast. 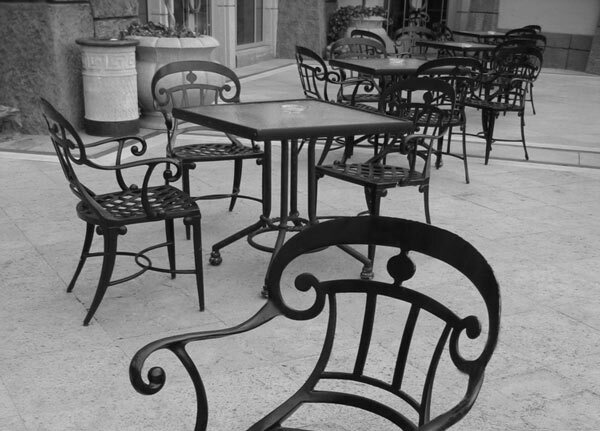 Our team has had much experience working with wrought iron and outdoor furniture is one of our specialties. We centre our work on providing targeted solutions that are customised to the needs and specifications of each of our clients. We understand that everyone has unique needs and that is why we engage with all of our clients to establish their exact needs, before developing a striking and unique design to address them. Here at Dean Wilson Iron, we believe that your outdoor furniture ought to reflect your own personal style and suit your practical needs perfectly. 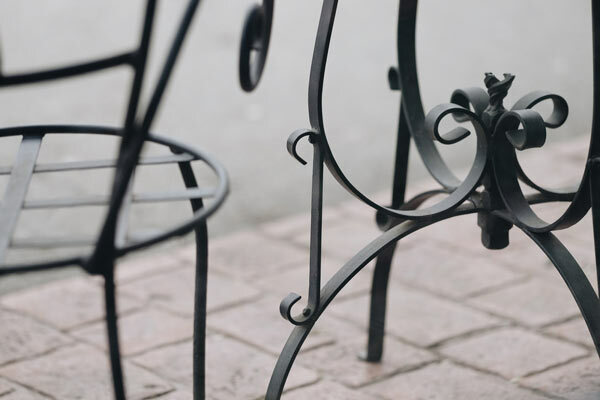 To ensure that you get all the benefits of wrought iron, we work closely with you to help you explore your options and transform you ideal design concept, into a stunning piece of furniture. A furniture setting can be invaluable in transforming your outdoor living area into a designer recreational space, suitable for entertaining, relaxing or just spending time with your family in comfort. A handcrafted, customised outdoor furniture setting from Dean Wilson Iron will guarantee you the upmost in visual appeal, practicality and durability. We will engage with you to assess your situation and develop a suitable solution that will complement the design features of your home and reflect your personal style to contribute to a unique and elegant ambience. We have both the knowledge and the equipment to make your design concept a reality and we can craft a furniture solution to suit your needs, no matter how specific they may be. We will gladly guide you through the design process and we are happy to offer you advice on how best to combine aesthetic appeal with functional, durable quality for the upmost in outdoor living. We recognise that you will probably want furniture that not only looks stunning and unique, but also fulfils its practical purpose as comfortable, high-quality furniture. To ensure that our products meet the needs of each of our clients, we have developed an industry leading service approach. Our services are aimed at engaging with you to ascertain your exact needs so that we can work together to explore your options and decide upon the perfect solution. We are dedicated to combining unrivalled quality and durability with industry-leading designs and functionality, so that your outdoor living space can be transformed into a designer area that perfectly complements the features of your home, as well as your own preferences in style and layout. To commence the process, we like to begin with an informal consultation to discuss your situation and establish an approach to meeting your requirements. This is a great time to outline any design concepts you may already have and tell us a bit about the type of setting you are looking for. All of this information helps us get an idea of how to help you with the design and construction of a perfectly targeted outdoor furniture solution. This consultation will contribute to the design and we encourage you to go into as much detail as you find necessary; our process is centred on you and we will engage with you to develop the most tailored furniture solutions. The initial consultation provides us with enough information to offer you an approximate quote. This quote will include an outline of costs and we can formulate the quote instantly, with only some basic measurements and design information. We recognise that you are going to want some time to consider your options and we do not want to keep you waiting, which is why we offer you a quote as soon as possible. This way, you have a clear picture of the costs and work necessary to develop your ideal furniture solutions, from the very beginning of the process. When you have decided upon the type of design that will best accompany your home and outdoor space, we can finalise it to ensure that all your needs are accounted for. Your will remain the centre of our priorities and the final design will be produced on your terms, to ensure that it is perfectly suited to your style and the design features of your home. We can use our experience with wrought iron at this stage, to make sure that the design maintains unrivalled strength and durability, whilst still providing you with the upmost in aesthetic appeal. We will use the finalised design to commence the construction of your outdoor furniture. Our expert blacksmiths carefully handcraft all of our creations and this means that they are finished with unmatched attention to detail. We are committed to providing the most personalised and customised furniture solutions, which means that we will keep you involved even throughout the construction stage. Our team can send you photo updates of the build, whilst it is still in progress, to ensure that it is in keeping with your vision. We even invite you to inspect the progress in person at various stages of completion, if that is convenient for you. If you have a specific vision for your outdoor living space, then call us today or fill in our online contact form. We are happy to explore your options with you and offer you any advice that you may need in you search for personalised outdoor furniture solutions. If you would like to see photos of our previous work across the Sunshine Coast and Southeast Queensland, then you can find us on Facebook. #1 Will my outdoor furniture require much maintenance? Wrought iron is a very durable material and because of this, it will not require a great deal of maintenance. We do, however, recommend a gentle wash with some soapy water if your furniture becomes visibly dirty. Not only will this maintain its immaculate finish, but it will also serve to protect it from dust and grit. #2 Can I put marble, granite, glass or timber on top of your tables? 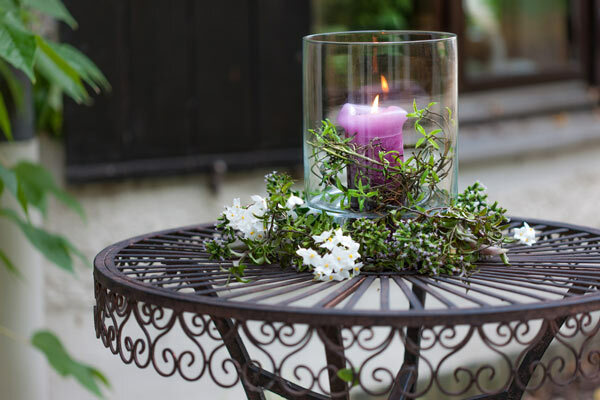 Wrought iron is renowned for its strength and when this is coupled with our excellent craftsmanship, you can rest assured that our tables can support even the heaviest tabletops. You can safely put granite, marble, timber and even glass on top of our tables and they will support them sturdily for as long as you need them to. This ensures that your options are open. #3 Do you make things to any size? At Dean Wilson Iron, customised wrought iron creations are our speciality and we can craft any item of furniture to any size. No job is too big or too small and we will work with you to develop an outdoor furniture setting to suit any outdoor living area – regardless of its size. #4 How long will your wrought iron outdoor furniture last? Because wrought iron is so durable, it can last for a lifetime and we take a number of precautions to ensure that none of our wrought iron furniture creations rust or corrode. All of our metal is galvanised and we finish each item of furniture by hand, to ensure that it is protected against the elements and will remain free from rust for decades to come.